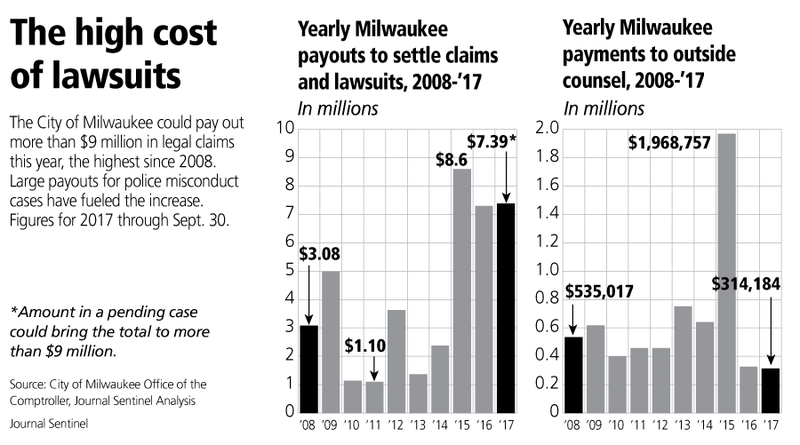 Police misconduct has cost Milwaukee taxpayers at least $17.5 million in legal settlements since 2015, forcing the city to borrow money to make the payouts amid an ever-tightening budget. That amount jumps to at least $21.4 million when interest paid on the borrowing and fees paid to outside attorneys are factored in, a Milwaukee Journal Sentinel analysis found. In some cases, the costs pile up as the city continues to fight the cases for months or years, even after officers have been fired or criminally convicted in the same misconduct case. The costs far outstrip the $1.2 million the city sets aside each year for settling all of the claims it faces. And they likely will keep rising. The price of police misconduct has come under scrutiny as city officials face a daunting budget and consider closing six fire stations and cutting jobs in the police and fire departments. At budget hearings, Common Council members have repeatedly pressed police officials and the city attorney’s office on what more could be done to ward off lawsuits. “Better training, better screening of applicants, all kinds of factors that could enter into the picture,” Ald. Robert Bauman said in an interview. In the past, aldermen have attempted to tie the lawsuits to the police budget, exploring options such as reducing the cost from the Police Department’s budget, but the city attorney’s office advised against it, Common Council President Ashanti Hamilton said. “I wish we could really center our discussion around just protecting the constitutional rights of the citizens that the Police Department is sworn to protect and serve,” Hamilton said. City Attorney Grant Langley’s office recently recommended paying $2 million to settle a wrongful imprisonment lawsuit. The city also has two other high-profile lawsuits looming: one related to the 2011 in-custody death of Derek Williams and a class-action suit from the American Civil Liberties Union of Wisconsin accusing the department of illegal stop-and-frisk practices and racial profiling. The pending wrongful imprisonment settlement could push the total payouts to settle lawsuits so far this year to $9.4 million. That would be the most the city has paid out in a single year since at least 2008, according to the Journal Sentinel analysis. The city is self-insured, meaning taxpayers bear the costs of any settlement. Because the city only budgets $1.2 million a year for claims and lawsuits, it has resorted to borrowing to pay for the large settlements. Aldermen have approved borrowing $16.3 million to settle four lawsuits, and will soon vote on whether to borrow another $2 million to pay a fifth. Those settlements alone will cost an extra $2.6 million in interest and borrowing costs over the next decade. The city deals with hundreds of legal disputes a year, many related to property damage, collisions with city vehicles, personal injury claims or employment disputes. From 2008 to 2014, it paid an average of $2.5 million per year in settlements and court judgments. Most claims were settled for less than $2,000. In 2015, a series of multi-million-dollar judgments and settlements related to police misconduct started to dramatically increase the costs of claims and lawsuits. 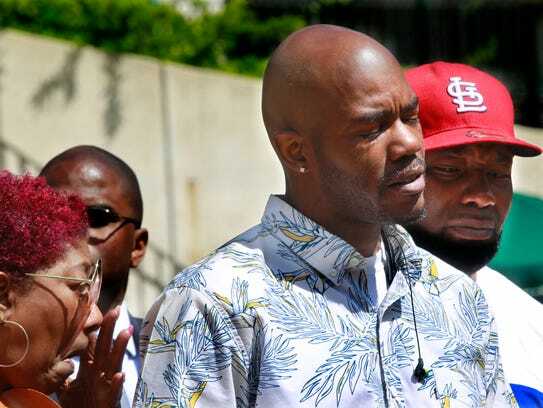 The city settled a wrongful conviction suit for $6.5 million with Chaunte Ott, who spent 13 years in prison for a homicide later connected to serial killer Walter Ellis. Then came a $5 million settlement that covered dozens of illegal strip search cases, a $2.5 million settlement paid to a woman who was raped by an on-duty police officer, and the $2.3 million payment to the family of Dontre Hamilton, who was shot and killed by an officer in Red Arrow Park. The city’s most recent seven-figure settlement stems from the wrongful imprisonment of William Avery for another murder that was later linked to Ellis. The Common Council has yet to vote on the $2 million settlement. The police claims are a significant portion of $41 million paid by the city in legal claims against all departments since 2008, according to the Journal Sentinel’s analysis. Langley said his office last year devoted at least four attorneys, two paralegals and one office assistant entirely to police-related cases last year. In some of the most complex cases, the city has also hired outside attorneys, which has resulted in substantial legal fees. For example, the city paid the Crivello Carlson law firm $1.5 million from 2014 to 2015 to defend the city in the illegal strip search lawsuit, which involved 74 plaintiffs suing the city. “It was, to say the least, more than this office could handle,” Langley said. The city has hired the von Briesen and Roper law firm to defend it against the illegal stop and frisk lawsuit filed this year by the ACLU. Payments to the firm so far this year have totaled $159,000. Some judges and attorneys have criticized the city’s handling of the police misconduct lawsuits, saying city attorneys unnecessarily drag out cases involving clear wrongdoing on the part of police officers. The result is higher costs to taxpayers. When the city loses or settles such lawsuits, the city can be held liable for the plaintiff’s attorney’s fees, in addition whatever it costs the city to fight the suit. In a hearing last month, U.S. District Judge J.P. Stadtmueller Jr. chided a city attorney for repeatedly fighting the Avery wrongful imprisonment case, even after a $1 million payout to Avery had been reinstated by a federal appeals court. The judge questioned why the city refused to resolve the cases and instead continued to take a “strident approach” of appealing “everything” when it did not seem to have the desired effect. “These cases have all been around for a long time, and the media has given few of them considerable attention. But, the amount of payouts is staggering,” Stadtmueller said. In addition to the $1 million judgment paid to Avery, the city will pay $987,000 for his attorney’s fees. If there is a legitimate legal avenue to defend the city, attorneys are obligated to pursue it to “ensure that taxpayer money is not spent inappropriately,” said Deputy City Attorney Jan Smokowicz. Smokovicz pointed to the $6.5 million Ott settlement as evidence the city doesn’t fight lawsuits just to fight them. “We do try to asses each case on the merits, and we do try to resolve cases where appropriate,” Smokovicz said. Ben Elson, one of Avery’s attorneys in the civil case, said the city’s approach to appealing the case amounted to a waste of taxpayer money. Elson’s firm, the Chicago-based People’s Law Office, has worked on many civil rights cases against the Milwaukee police. Milwaukee attorney Jonathan Safran, who has sued the city in civil rights cases, said the city has a track record of fighting every case, even when there’s clear wrongdoing on the part of its employees. Safran was part of the team representing Hamilton’s family, as well as several clients suing the city in the illegal strip search cases. The officer who killed Hamilton was fired. Four officers in the strip search case were criminally convicted. Milwaukee has long been self-insured and for many years the total payouts for claims had been relatively stable. Some Wisconsin cities, including Madison, do have outside insurance. 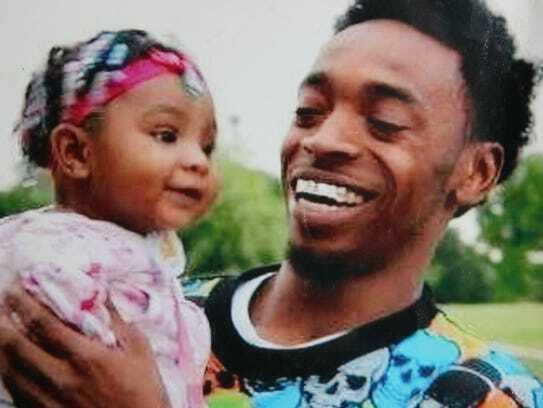 The family of Tony Robinson, who was shot and killed by a Madison police officer in 2015, reached a $3.35 million settlement with the city’s insurer in February. The city of Madison has typically paid insurance premiums ranging from $364,000 to $436,000, according to media reports. Milwaukee’s budget office has researched insurance in the past and found most insurers are not willing to cover a city the size of Milwaukee and the plans from those that do are cost-prohibitive, said budget director Dennis Yaccarino. Policing a major city is an enormous source of risk for governments and potential civil lawsuits, Police Chief Edward Flynn said. “It’s baked into the business,” he said during a recent budget hearing. Flynn said his department is working hard to address misconduct and focusing on three main fronts. “Did we supervise them appropriately? Did we train them appropriately? And when they engaged in wrongdoing, did we do the right thing?” Flynn said. To that end, the department created a Risk Management Bureau in 2013 that focuses on training as well as regular officer evaluations to identify problems in their early stages. One area of improvement is that Internal Affairs data is now available to supervisors and captains, said Inspector Terrance Gordon, who heads the bureau. The department now analyzes every use of force complaint, Gordon said, and officers who receive too many are flagged for intervention, usually a discussion with a supervisor. That conversation makes officers aware of a problem and puts them on notice they are being watched – and it’s often enough for those officers to decline their use of force, he said. The department received 152 citizen complaints last year, a 48% drop compared to the seven-year average of 291, and the frequency of officers’ use-of-force has declined every year since 2013, according to the Police Department’s 2016 annual report. Critics of the department have argued complaints have declined because people don’t understand the process or because they don’t believe a complaint will lead to a fair resolution. Most of the officers who were sued in the most recent set of misconduct settlements had not gone through all of the training Gordon outlined. That’s because most of the events leading to the lawsuits settled in 2015 through 2017 occurred before the Risk Management Bureau was created, officials said. “The things that we have in place now hopefully will identify those officers a lot sooner than we had been able to do in the past,” Gordon said. Several council members are pushing for more accountability and monitoring of how the department addresses risk from the city attorney’s office and the Fire and Police Commission, the civilian oversight board. One of them is Ald. Milele Coggs, who chairs the Finance and Personnel Committee, who said lawsuits and attorney’s fees shouldn’t be the city’s only concern. The council also needs to focus on “the damage that it does to citizens along the way,” she said. ← What Happens When A Troubled Police Department Refuses To Reform?